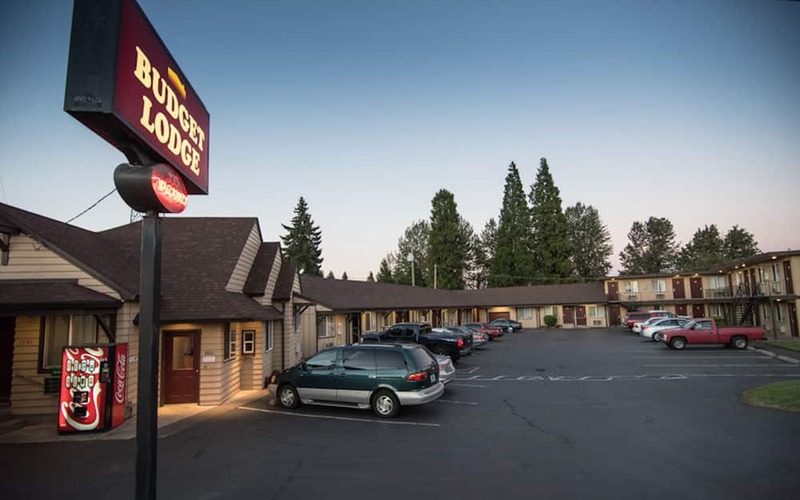 Budget Lodge Eugene - Airport is located at 1291 Highway 99 North, Eugene, OR 97402, USA, that is only 8 kilometers away from the University of Oregon. The hotel provides non-smoking rooms, free Wi-Fi on its whole territory, open parking area, and family rooms as well. The rooms at the hotel are all equipped with the refrigerator, microwave, hairdryer, iron, coffee machine, and TV. River Valley Center Mall is located only 4 kilometers away from the hotel. The price per 1 day is minimum $81. The amount is indicated for September 2018. 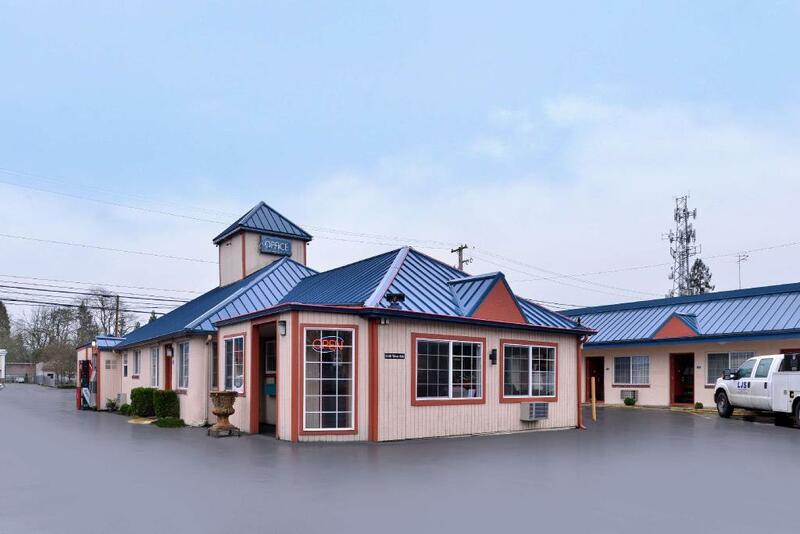 Value Inn Motel is located at 595 Highway 99 N, Eugene, OR 97402, USA, that is only 6 kilometers away from the University of Oregon and about 6 kilometers away from the Autzen Stadium. Free long-term parking, as well as Wi-Fi, are available on the territory of the motel. The rooms at the hotel are all equipped with the microwave, refrigerator, hairdryer, iron, telephone, coffee machine, and TV. The price per 1 day is minimum $65. The price is indicated for September 2018. 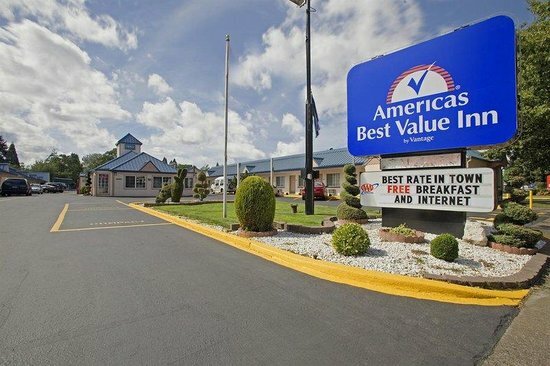 Americas Best Value Inn Eugene is located at 1140 W 6th Ave, Eugene, OR, that is 10.8 kilometers away from the Eugene Airport. The rooms at the hotel are all equipped with the refrigerator, microwave, iron, telephone, hairdryer, coffee and tea facilities, and TV. The price per 1 day is minimum $81; however, the breakfast is included in the price that is indicated for September 2018. 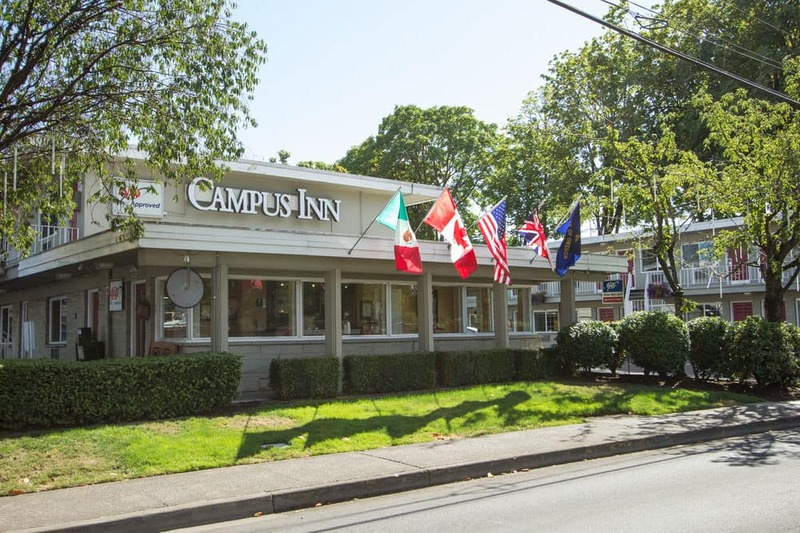 Campus Inn & Suites Eugene Downtown located at 390 E Broadway, Eugene, OR 97401, USA is just 12.6 kilometers away from the Eugene Airport. The hotel offers spa and fitness center facilities on its territory. Free parking area, Wi-Fi, business center and available as well. The price per 1 day is minimum $100; moreover, the breakfast is already included in the price that is indicated for September 2018. 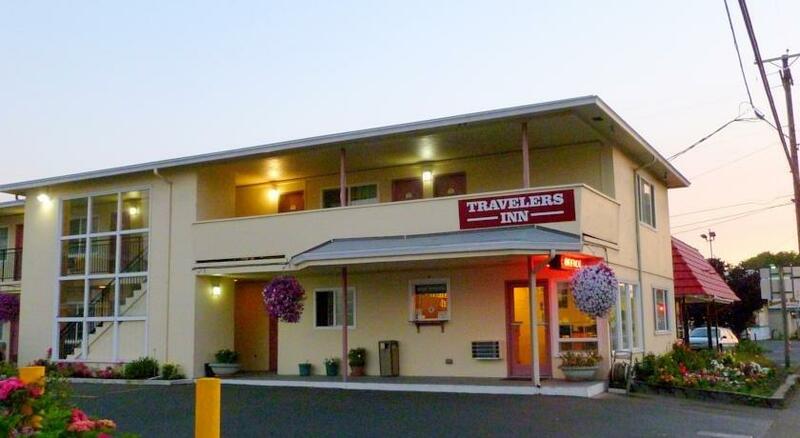 Travelers Inn Eugene University is located at 540 E Broadway, Eugene, OR 97401; the USA is just 12.7 kilometers away from the Eugene Airport. The hotel is a smoke-free area with the free long-term parking available on its territory. The rooms at the hotel are all equipped with the hairdryer, iron, microwave, refrigerator, TV, telephone, and coffee machine. The price per 1 day is minimum $85; moreover, the breakfast is already included in the price that is indicated for September 2018. 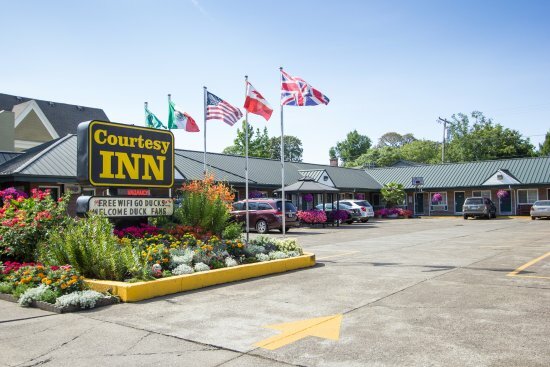 Courtesy Inn Eugene Downtown is located at 345 W 6th Ave, Eugene, OR, that is 11.7 kilometers away from the Eugene Airport. The hotel provides laundry services, concierge services, and express check-in facilities. The hotel is smoke-free property and does not allow its guests to smoke in the rooms so as on its territory. The price per 1 day is minimum $104, the price already includes the fee for the breakfast and is indicated for September 2018.